Home » Mining » February's App of the Month: How is mineral exploration affecting caribou? February’s App of the Month is Wildlife Conservation Society Canada’s “How is mineral exploration affecting caribou in Ontario?” story map. See how geographic information systems (GIS) help engage scientists and the public in environmental decision-making to protect caribou habitats. 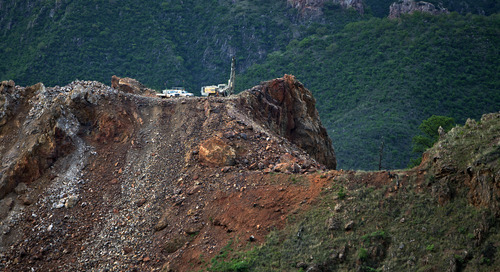 Wildlife habitat preservation is a difficult mission to undertake. That’s why organizations like the Wildlife Conservation Society Canada (WCS Canada) can use all the help that they can get. WCS Canada safeguards wildlife and wild places in Canada through science, conservation action and inspiring people to value nature. WCS scientists have focused on caribou research and conservation in northern Ontario (and in the NWT and Yukon) through surveys and ecological research. They have been leading research efforts to better understand the relationship between caribou and human development, and the past and current state of caribou populations. Boreal caribou in northern Ontario is threatened by human-caused disturbances, including mineral exploration activities. Mining claim ownership information and proposed mineral exploration permits are posted on the Environmental Registry, and the public only has 30 days to write a comment that may influence the Ministry of Northern Development and Mines’ (MNDM) decision to grant a permit or not. Although the claim numbers are listed on the Environmental Registry, there could be hundreds of claims at any given time, and looking up each claim individually can be time-consuming. What’s more, even when a claim is downloaded, it doesn’t come with any information associated with the downloaded data. The only relevant information is a mining claim number, which leads to more time spent on the MNDM website looking up the claim number’s owner. WCS Canada created the “How is mineral exploration affecting caribou in Ontario?” story map to facilitate the writing, within the 30-day deadline, of comments by the organization’s scientists and the public, about the impacts of proposed mineral exploration activities on important caribou habitats in Ontario. WCS Canada’s story map helps provide a holistic understanding of the extent and potential impacts of mineral exploration on caribou populations in Ontario. The app received 8,000 visits in 2017. 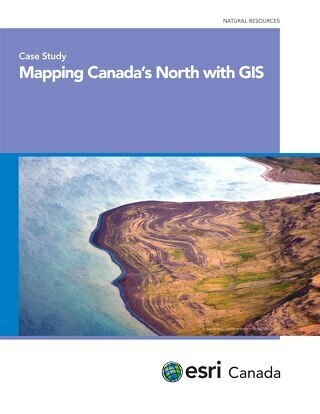 “We created the story map to provide the public with a hands-on mapping interface where they can easily access information about mining claim ownership and the status of exploration permits, as well as facilitate the writing of comments about proposed permits,” explains Meg Southee, GIS Analyst and Spatial Data Manager at WCS Canada. The story map, powered by ArcGIS Online, links detailed information from the online MNDM database with spatial data and provides a searchable database of mineral exploration permits. “I developed Python scripts to get the information that I needed out of the online MNDM mining claims database and joined it with the geospatial mining claim data,” Meg continued. Meg selected the Story Map Journal template, which is ideal for combining narrative text with maps and other embedded content, such as images, video and web pages. 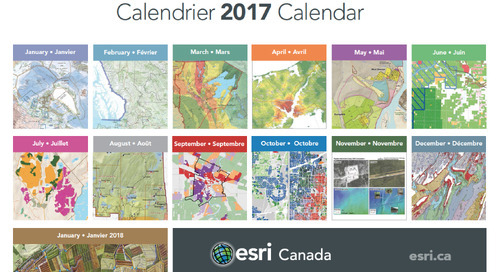 WCS Canada’s story map was launched in December of 2016, but the idea came to Meg when she attended the Esri Canada Toronto User Conference in 2013. There, she saw a presentation by a junior mining company using Python scripts to extract data from the MNDM website to bid on cancelled mining claims. 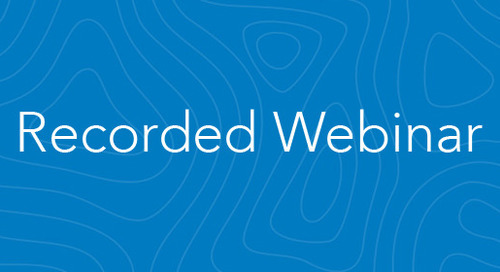 “I decided to use ArcGIS since the Python language is embedded in the software. 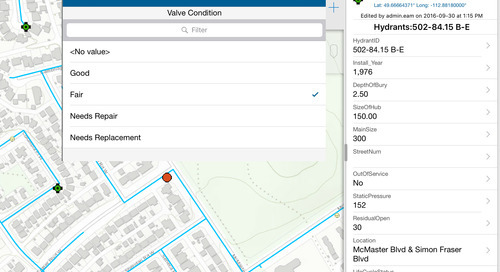 Most of the data updates can be run directly from ArcGIS. 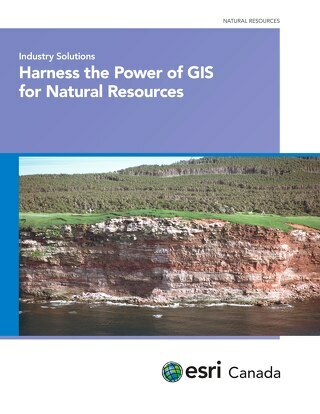 Also, the online resources for ArcGIS products were helpful in determining what was possible or not,” comments Meg. The story map does more than facilitate the writing of comments on the Environmental Registry. It also helps monitor where different types of exploration activities are scheduled to occur and where they’re already occurring. 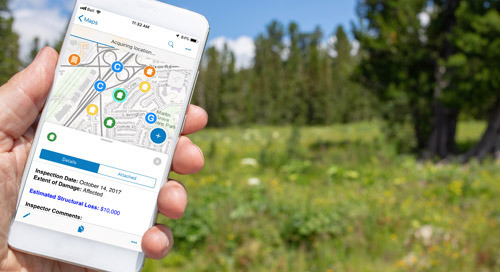 Since the app provides visual information about mineral exploration permits in a simple way, it’s not surprising that the app receives many visits. In 2017, the story map received 8,000 visits and a whopping 974 views in one day – a record! If you want to learn more about the status of boreal caribou and participate in the environmental decision-making process related to mineral exploration in Ontario, be sure to check out the “How is mineral exploration affecting caribou in Ontario?” story map. Don’t hesitate to share your thoughts and impressions about the app. Leave a comment below. To guide sustainable land use decisions in Canada’s north, the federal government is investing $100 million in a Geo-mapping for Energy Minerals (GEM) program. 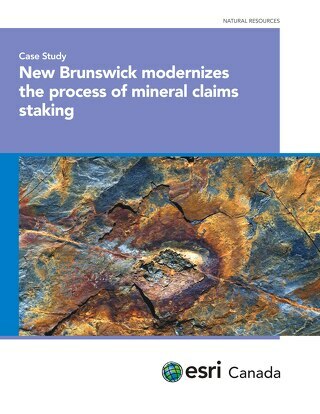 Find out how the province has taken a 21st century approach to mining by transitioning from traditional ground staking to e-CLAIMS - an online map staking system.